Hello my name is Marina. Thanks to this clinic and very good and understanding doctors I am healthy. Thank you very much for everything and everyone who helped me on the trip. Thanks to you, I am happy again! I was already going to call you with words of great gratitude for the help rendered in our complicated business. Roma had already been operated on. He is as happy as ever. The hospital can not understand what he rejoices! The clinic is wonderful. You can recommend it with a calm heart. They do everything! All doctors with American and British diplomas. The format of the hospital is absolutely European. And the prices are funny! Single room costs $ 100. In Berlin we paid 2000 € per day. The pacemaker Metatronic USA costs $ 500. In Russia there are 160000₽. So the conclusions are self-evident. I'll recommend it to my friends! I want to wish you all the best and thank you again for your help !! I was diagnosed with hemophthalmos and urgently needed an operation vitrectomy. I could not find doctor who could make this operation. I turned to the internet for help and found Bookimed. They answered me quickly, my doctor was coordinator Ivan Koval. After very short time I received all necessary information and program of treatment. I was very lucky with coordinator, he is a professional, friendly, diligent and responsible doctor. I came on tourist visa to Fortis clinic which is located in India, New Delhi. The Fortis clinic I immediately did not like. Interpreters are not serious, medical personnel seemed to me not very responsible, laws changed, the coordination of the clinic was awful. After examination I was refused to do surgery on a tourist visa, it was necessary to get medical visa which needed additional 15 days and a lot of money as Fortis doctors told me, so I was very nervous. All the time my doctor was the coordinator for communication with clinic, he called me every 10 min to ask how are you, how are you feeling, talking to the medical staff the clinic, he was very worried too. At the same day Ivan Koval found another clinic in Bangalore and Dr. Priya who brought me from Delhi to Bangalore that night. And then I had two good responsible doctors, Dr. Priya and Dr. Koval, who found the best surgeons for me. Thanks a lot for that!!! In Bangalore I was very warmly welcomed by the staff of the hospital and taken to Manipal where I waited for good, responsive, cute and beautiful hospital personnel . They carefully examined me and my eyes, appointed the time of surgeryi. At day of operation I had no doubt that my operation will be great. Otherwise could not be. My surgical doctors were the most experienced, responsible, sensitive and highly qualified doctors in the world. Operation went very easily and well, I did not feel much pain after surgery. I was happy when the next day doctors removed the blindfold, my eyes began to see as before)) This was my second birth. even tears of joy rolled down my face. My doctors were Dr. Ajanta Chakravarty and Dr. Nitin S. Shetty. I express my heartfelt gratitude to my favorite doctors and the entire staff of Manipal for perfect and noble work that is so important to people. I was very pleased to feel a lot of attention, sympathy and understanding! A low bow to you for the tremendous, competent force in saving our lives! After a blood transfusion in Kherson I was diagnosed with hepatitis C. Analysis showed a viral load of 88,000, there was a heaviness in the liver. When the doctor in infectious diseases hospital explained perspectives - I was horrified. Effective antiviral drugs are not registered, and the order in Europe need a long time to come and is expensive for hepatitis. Familiar doctor advised treatment in India, where these drugs are much cheaper, as well as comprehensive tests. I came to the Manipal clinic and paid less than $ 2,000 for all, bought there Hepcinat (Indian version of sofosbuvir). The liver does not hurt, now I wait for test results. Manipal Hospitals represent Clinical Unit of private Indian company Manipal Education & Medical Group (MEMG), one of the leading healthcare centers in India with more than fifty years of experience in the field of medical care. Today, Manipal Hospitals is the third largest health care provider in India offering comprehensive medical care. 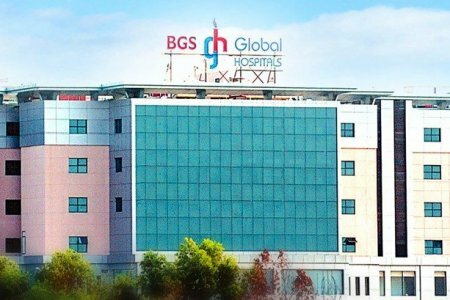 Manipal Group includes 15 hospitals and 3 clinics, located in six states of the country, as well as in Nigeria and Malaysia. The network of Manipal Hospitals annually serves about 2,000,000 patients from India and abroad. Aster CMI Hospital is a multidisciplinary clinic which belongs to Aster DM Healthcare. The medical network includes 320 clinics in 9 countries. 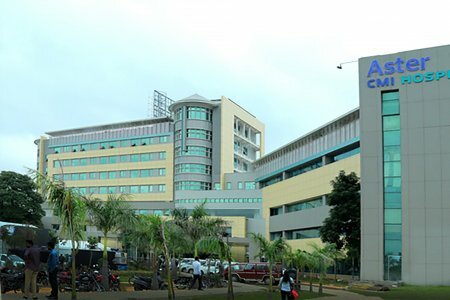 Aster CMI Hospital in Bangalore is one of the most advanced Indian hospitals. The Clinic is equipped with latest technologies and has 500 beds for accommodation. Aster Clinic takes the leading positions in the world in performing organ transplants using robotic surgery and 3D printing. 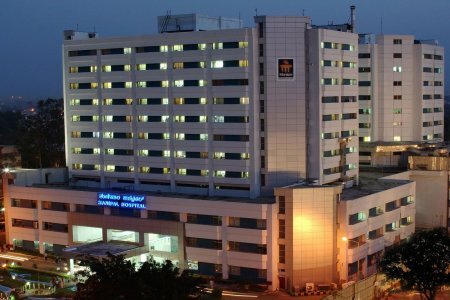 What is the cost of treatment in Bengaluru? The total cost is estimated individually and can vary according to the severity of illness, complications (if they occur), hospital type, and doctor’s qualification. You’ll get the exact price for treatment in Bengaluru after medical tests and consultation with a doctor.